Should you happen to be a fan of fantasy books and movies and more concretely The Hobbit, it would be a shame not to admire one of the last great dragons of Middle Earth – Smaug The Magnificent! 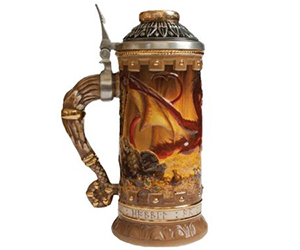 This stein has superb artwork related to the legendary fire-breathing creature! You can see the deadly Smaug standing in a pile of his treasure and Bilbo is there as well. 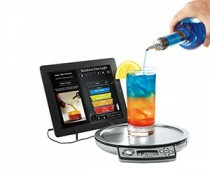 The drinkware is actually usable so you can drink from it!